From outer space to deep ground freezing, Drake has done it all. We have a vast experience with low-temp chillers for every process need. Whether you need calcium chloride chilled to -29°F or fuel chilled to -22°F we are here to help you complete that task. 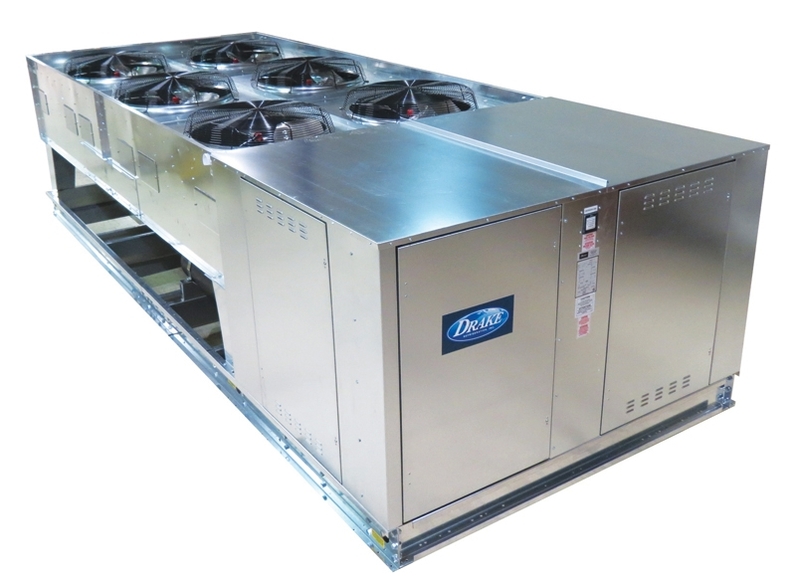 Many chiller companies do not want to work with the complexity of low-temp chillers. However, we understand the many challenges of low temp chilling, including the impact of fluid viscosity, pump selection, oil flow parameters, etc. We take the time to understand your process and operating condition before making an equipment selection. So when Moretrench needed the means to design the excavation process, they came to Drake. While Moretrench focused on the science of underground construction, Drake focused on the science of deep ground freezing. 1) Rapid Pull-Down: We understand that many low-temp applications have large pull-downs. Our systems are designed to be as efficient as possible through the entire temperature range to allow for quick and efficient pull-downs. Our EEVs maintain a constant superheat with no human interaction. Many competitors only design for the final temperature considerations causing highly inefficient chiller operation. 2) Oil Management: Anyone with experience in low-temp refrigeration operation knows that oil return plagues the operation of even the simplest system. We take all the necessary measures to ensure full oil return back to the compressor without the interaction of a service tech. Oil is the lifeblood of a chiller, this is why our chillers have incredible longevity. 3) Vast Array of Fluid Types: At lower temperatures, many standard anti-freeze fluids become too viscous to pump. 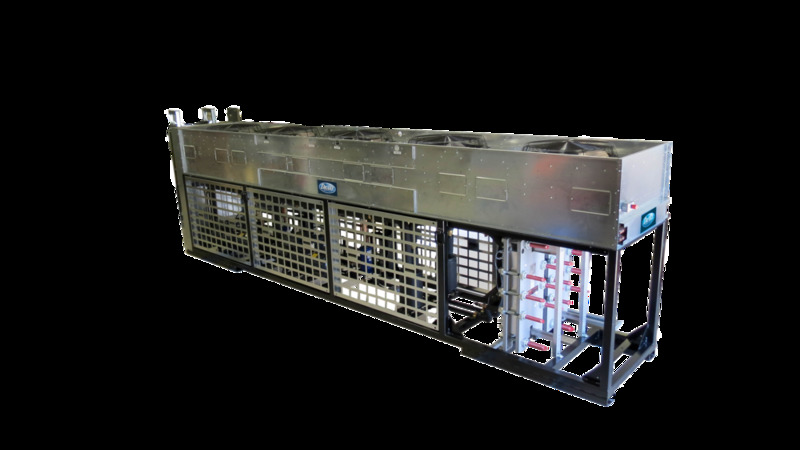 We design our chillers to meet your specific fluid. You never have to derate chiller performance with a Drake because we factor in fluid properties to ensure that our evaporators are sized to do the job.